After making the move to Seattle in 2009, Alonso has remained associated with the club ever since and has played a major role in club’s success over the years. Alonso’s physical game in the holding role in the midfield earned him a famous nickname “Honey Badger” at Seattle. 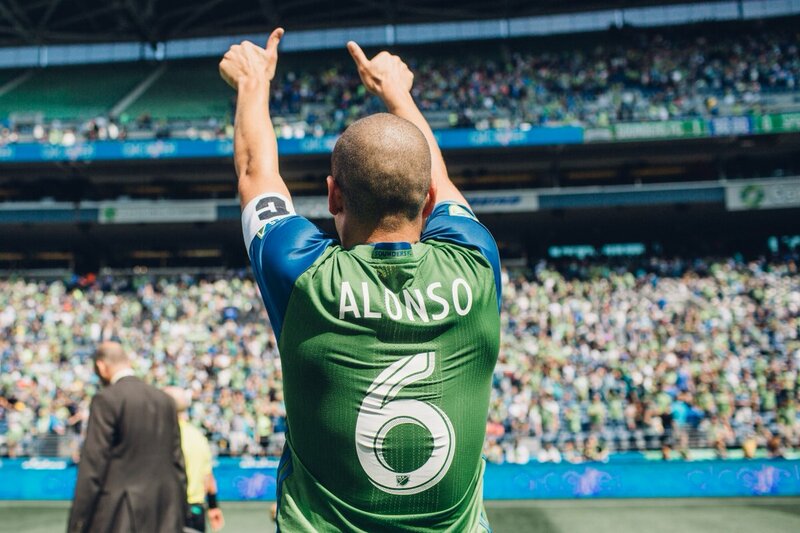 While Seattle hasn’t dropped any hints what are their thoughts on Alonso and if they have any plans of offering him a fresh contract, there is speculations that the former Cuba international won’t play any more games for the club in future and is on his way out. The likes of novibet.co.uk have made it clear that they see him moving on , with the odds of him playing for the Sounders again next season all the way out at 10/1, compared to odds-on on him being elsewhere. Indeed, he has already been linked to America in the Mexican league, though there are at least a handful of MLS clubs who woudl jump at the chance to have such an accomplished performer within their ranks. Unfortunatley, talk of Alonso being offloaded have been there for the entire 2018 season as the midfielder struggled with injuries in the first half of the season and couldn’t quite get into the line-up on a regular basis, but as the season progressed, he showed glimpses of his vintage self as he looked at his best in some of the games – not least in the game against Los Angeles Galaxy, where he made a mark on Zlatan Ibrahimovic within the first 10 minutes. The Sounders general manager Garth Lagerwey admitted that making retention decisions after every season is tough, but he insisted that the club is really upbeat about the future as they have retained a very talented group of players. “It’s always difficult to make these decisions at the end of every season, but ultimately we’re excited about the group we have in place and what we can accomplish next year. We’re keeping the core of the first team together, and with a few additions, we can become a force to be reckoned with once more” Lagerwey was quoted saying by MLS Soccer.com.